SugarCRM meets the requirements of businesses of various sizes and industries by providing 3 different software packages: Professional, Enterprise and Ultimate. 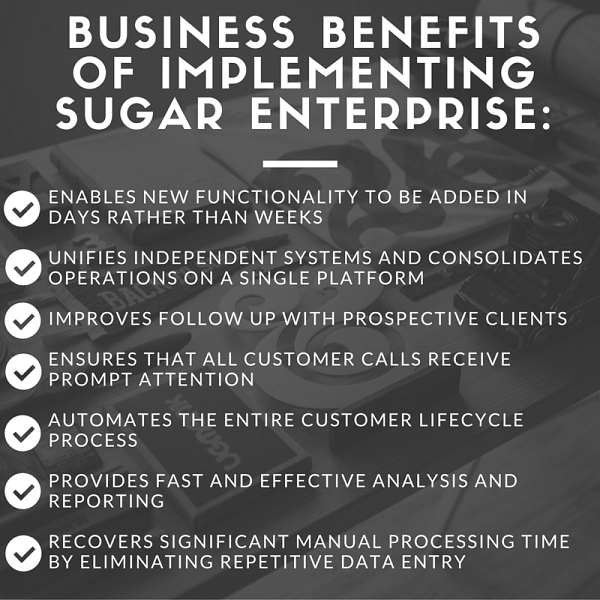 In today’s infographic we observe Sugar Professional and Sugar Enterprise editions in order to outline distinctions between them to help you find proper solution for your company. As you can see, SugarCRM is like a quintessence for managing big enterprises. Nevertheless, you should carefully consider about company’ budget, main goals and other requirements, before your final decision-making procedure.